Talking powerful program-calendar for any reminders with calendar and weather forecast on your desktop. Actual Reminder can pronunciation in voice any reminder and can tell to you about the weather outdoors. It can also inform you about the holidays for the current day in different countries. 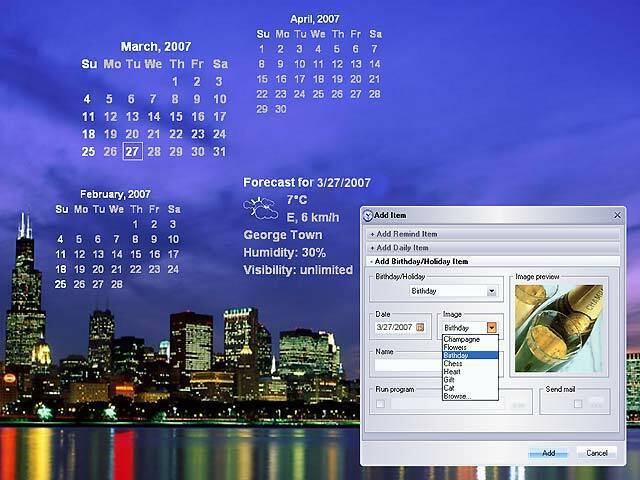 Automatic shutdown pc, Reminding thru E-mail, E-mailing birthday greetings, printable calendar and many other functions. It's 100% free to try!